What are Swivel and Clevis Hangers? Swivel and Clevis Hangers are quite similar in function, but different in shape and common usage. Swivel Hangers, also commonly known as Band Hangers, are a rounded piece of strapping that have two hard 90 degree bends at the top along with a pierced hole to fit a threaded nut. The Swivel Hanger is then installed to wrap around vertically suspended piping, typically used in fire safety systems. The size description is based on the the size of the pipe it fits with. 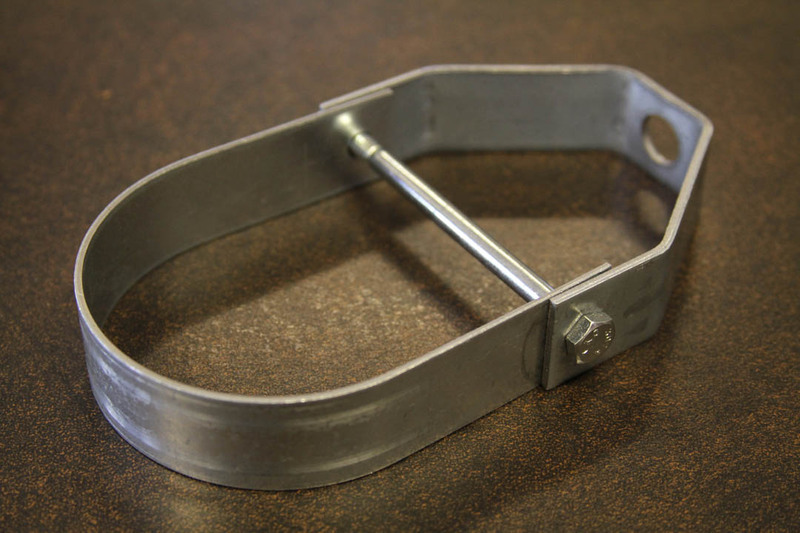 For example, a 1″ Clevis Hanger fits 1″ piping. To finish the installation, a 3/8″ threaded rod is used to to screw into the threaded nut and is secured into the ceiling. Clevis Hangers also hold vertically suspended piping with a 3/8″ threaded rod as well, but have defined bends to form the shape of the part. While Clevis Hangers are commonly used in fire safety systems, they’re also used for general plumbing lines more frequently because of their larger size. Check down below for pictures of both parts. Underwriters Laboratories, also commonly known as UL, is an independent safety science company that is globally known and respected for their efforts in providing safety benchmarks for a wide variety of industries. Click here for the Hangers, Pipes UL listing, and click here for the Support Devices for Thermoplastic Sprinkler Piping UL listing. General information as to what constitutes their classifications and requirements towards those listings can be found at the top left of each page. 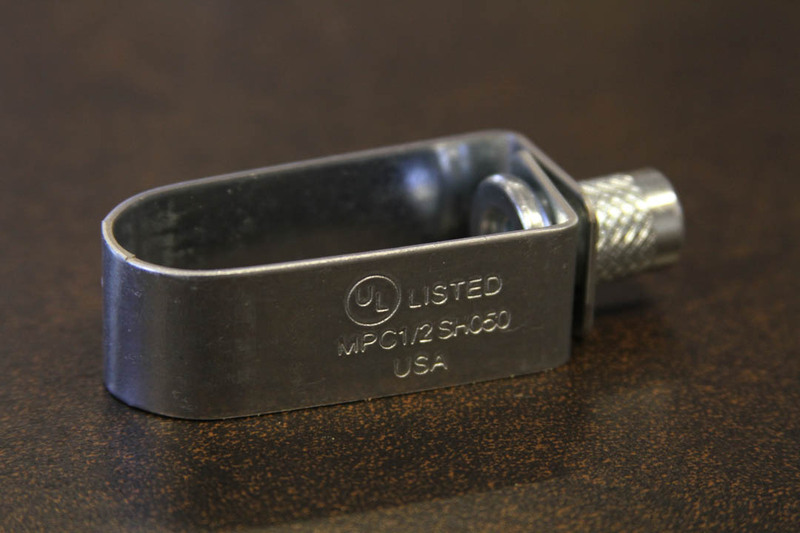 In the 25-plus years Metal Products Company has been under the current ownership, it has striven to offer it’s customers the highest quality of metal stamping parts. With the custom manufacturing and die building capabilities Metal Products Company possess, new products and areas of business are always within our capabilities. This entry was posted in Stamping on August 22, 2013 by johnatmetalproducts.